Are there women in agriculture? While there aren’t many the Mikkonen farm is nurturing one to take over. 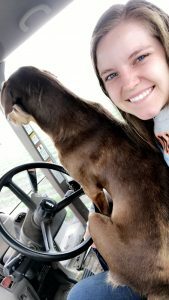 Wrigley, Mariah and her husband Wyatt’s dog is a permanent fixture in the tractor when she’s driving. Ironically, today I had a conversation with a farmer on Twitter who was frustrated because inevitably every conversation she has about her farm when meeting new people, they assume she is not the farmer, but the woman married to the farmer. The same thing happens almost every time I mention that my daughter is coming back to help take over the Mikkonen farm. Hello… there ARE women in agriculture! Meet Mariah, she’s one of our children who is coming back to farm. She graduated from college this last December with a degree in accounting. 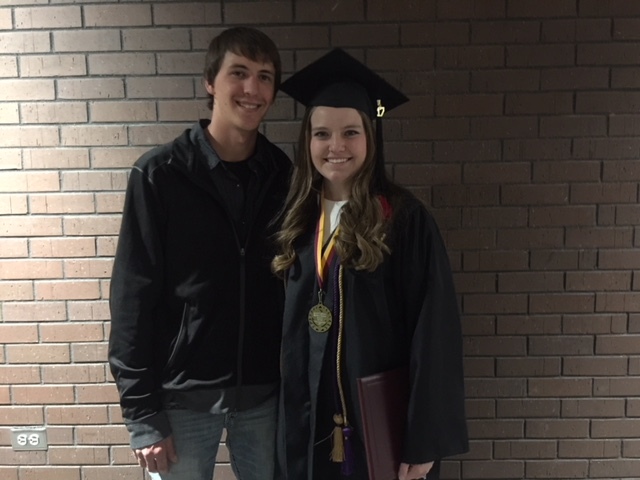 Mariah is shown here with her husband Wyatt Heine whom she married two months before her college graduation. Although she could have easily taken a full time job at the CPA firm Eide Bailly, where she did two internships, she instead asked for a seasonal tax position at the firm so she could come back to the farm. Yup, that’s right. She’s taking a desk job with a guaranteed income for half the year and then choosing the risky, dirty, dangerous, & challenging job of farming for the other half. When I tell people she’s coming back to farm, they are surprised! This isn’t the traditional role of a woman. In fact, when I married into the family, having grown up living in town, my mother-in-law said, “Don’t learn to drive anything or you’ll be stuck in machinery all the time.” I thought it was a great philosophy. 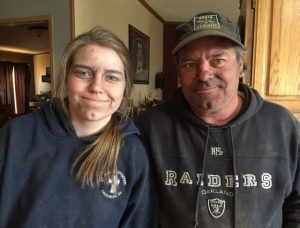 Mariah’s not afraid to get dirty as shown here with her dad Lonny because that’s what women in agriculture have to do. When I was growing up, I don’t recall knowing any female farmers and I don’t know that Mariah did either. Her dad never gave her the idea that she couldn’t do it. He taught her to farm just like he did her brothers and sister. 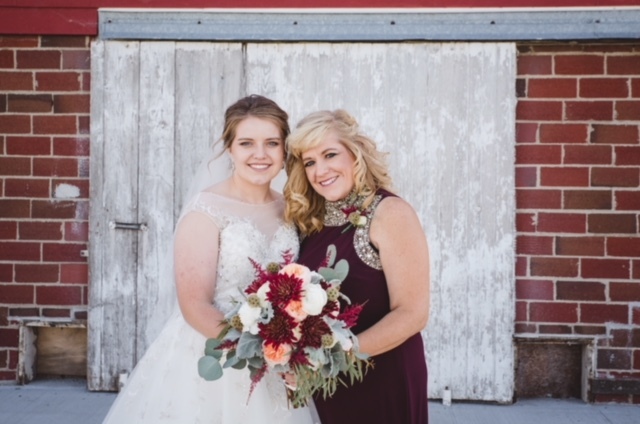 As her mother, I’m sure she wants to stay on the farm because I’m so amazing, she loves me so much she can’t bear to be away from me and her husband begged to live near his awesome mother-in-law … ha, ha! In reality, I know it’s because she is proud of the way her grandpa, great uncles, dad and uncle Rory have farmed this land, been good stewards of the land, and sacrificed to make it was it is today. She takes pride in the idea that she can work hard to be a part of keeping that legacy going. According to United States Department of Agriculture, in 2012, women controlled 7% of US farmland and accounted for 3% of total agricultural sales. The 2.1 million females that were the principal owners in their farm operations in the US reported that same year was a 6% drop from 2007, making up only 14% of all farms. Clearly there aren’t many women in agriculture. I am extremely proud of the many women who pave the way in any industry so others can be inspired and see they can do it too. I’m proud my daughter will be one of those women. I am proud of this “FarmHer” wanting to work in agriculture to aid in keeping the legacy of this farm going … so she can be close to her mom!